Sam Madge-Wyld looks at challenges to housing allocation schemes. The previous coalition Government’s localism agenda also adopted a similar “hands off” approach in England. While every scheme would still have to give a reasonable preference to certain classes of people (e.g. 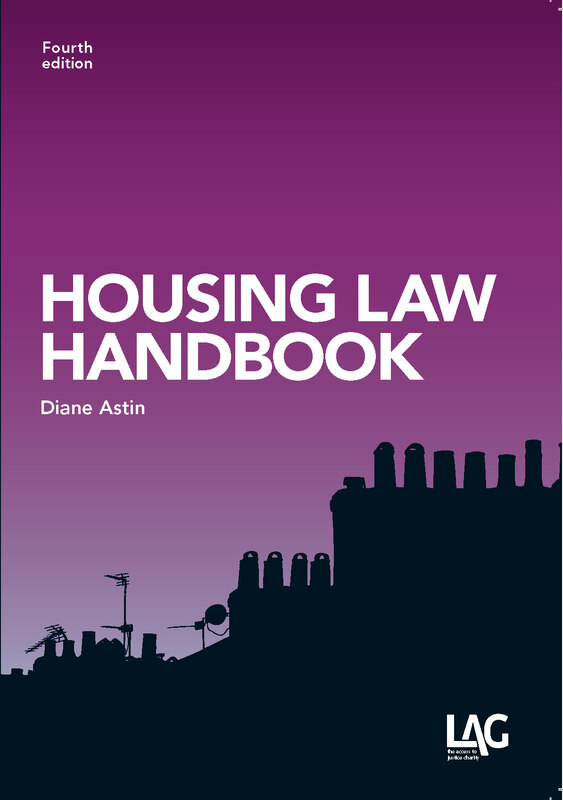 the homeless and those in overcrowded accommodation), individual authorities could determine the priority each group were to be given within the scheme and could even exclude certain classes of people from the scheme: s.160ZA and s.166A, Housing Act 1996 (as inserted by Localism Act 2011). 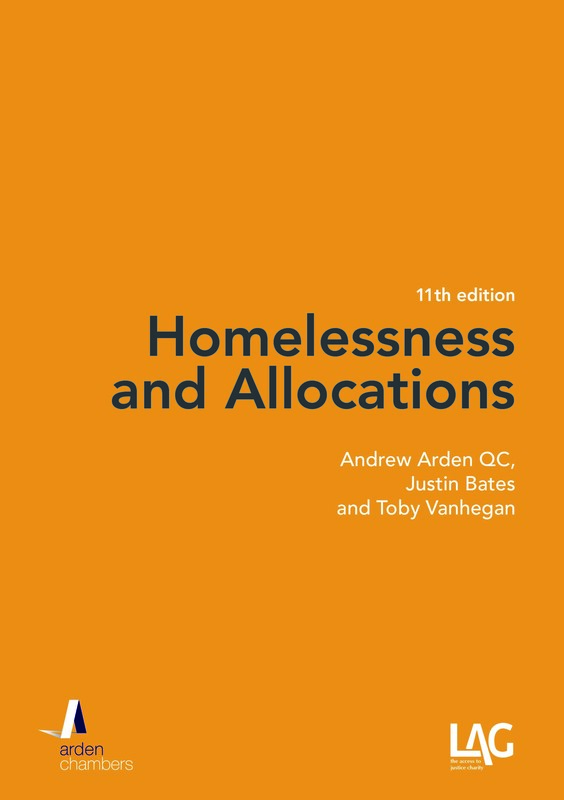 The new statutory guidance, issued in 2012 to accompany the changes made by the Localism Act 2011, also encouraged authorities to use this flexibility to support working households with a low income: Allocation of accommodation: guidance for local housing authorities in England, para.4.27. One would have thought that the combination of Ahmad, the Localism Act 2011 amendment and the statutory guidance ought to have shut the door on the majority of successful challenges to authority’s allocation schemes. This was, by and large, the case for the first five years after Ahmad. For example, in R (Hillsden) v Epping Forest DC  EWHC 98 (Admin), a scheme which prevented an applicant who had not been resident in the authority’s district for more than three years from ever joining the waiting list, whatever the circumstances, was lawful. Two cases concerning Ealing’s scheme have illustrated the court’s increasing willingness to hold aspects of schemes as being unlawful which, on their face, appear to be following the statutory guidance. In R (H & others) v Ealing LBC, Ealing’s scheme was challenged for a second time (see below for the first challenge). Ealing’s scheme provided that 20% of allocations would be made to people who did not necessarily have a reasonable preference but who were either working at least 24 hours a week or who were an existing secure tenant who had complied with their terms of tenancy. This was therefore precisely the sort of scheme that the Government had encouraged authorities to adopt in its statutory guidance. H argued, however, that the scheme put women, the disabled and the elderly at a disadvantage because they were much less likely to be able to satisfy the qualifying criterion of working 24 hours per week. Accordingly, the scheme indirectly discriminated – under s.19, Equality Act 2010 and Art.14, ECHR – against such people and was discrimination which could not be justified. Ealing contended that the fact that those persons were still entitled to apply for the remaining 80% of council properties meant that the scheme as a whole did not discriminate against women, the disabled or the elderly or, if it did, it could be justified. The High Court held, however, that the evidence showed that since the scheme had been amended the number of allocations made to disabled persons had fallen by 3%; in the absence of an explanation for this fall it followed that there was prima facie evidence of disadvantage to disabled persons. Nor could the discrimination be justified. Other authorities, who had adopted similar schemes, had adopted a “safety valve” which meant that people who could not work because of their age, disability or responsibility for caring for a disabled child were still eligible to bid for the same properties as those who had worked 24 hours a week. It followed that this less intrusive measure could have been adopted. The court found that the result was the same under both the Equality Act and the ECHR as the test for justification under the ECHR for policy made by local authorities was not whether the policy was “manifestly without reasonable foundation”. In any event, Ealing had also breached s.149, Equality Act 2010, i.e. the failure to have due regard to the public sector equality duty, because it had not made any real enquiry into the potential discriminatory effects of the part of the scheme that excluded people who were not working 24 hours a week or more. Ealing had not been entitled to consider the scheme as a whole when considering the impact the change would have. Likewise, Ealing had failed to have regard to the need to safeguard and promote the welfare of children under s.11, Children Act 2004. No consideration had been given to how children would be affected. While it would be surprising if this was not appealed (the finding that an authority is unable to justify discrimination that arises under a local lettings policy by reference to the rest of the scheme is a particularly surprising development which appears to cut across the whole localism agenda), it does evidence the courts’ new willingness to interfere in questions of allocations policy that, post Ahmad, it had generally ceased to. The statutory guidance (referred to above) also envisaged that authorities had the power to exclude certain classes of people from an authority’s scheme who had a reasonable preference and explained that this might apply to persons who are guilty of anti-social behaviour and who did not have a local connection to the authority’s area: 2012 Guidance, paras 3.21-3.22. This power to adopt a residency requirement was emphasised in further guidance published in 2013 (Providing Social Housing for Local People). In the 2013 Guidance the Secretary of State said that he believed “that including a residency requirement is appropriate and strongly encourages all housing authorities to adopt such an approach”: para.13. Moreover, in R. (Jakimaviciute) v Hammersmith and Fulham LBC  EWCA Civ 1438;  HLR 5, the Court of Appeal held that such a requirement was lawful: authorities could exclude people with a reasonable preference from applying for accommodation provided that the reason for the exclusion was because of something that was unrelated to the circumstances that gave rise to their reasonable preference. Authorities could not, however, exclude people, as a class, from applying under the scheme by reference to their reasonable preference. One of the lawful examples given by the Court of Appeal was, however, where a scheme had a residency requirement. Surprisingly, in R (HA) v Ealing LBC, the High Court held that a scheme that excluded people, other than in exceptional circumstances, from applying for accommodation who had not been resident in the borough for more than five years was unlawful because it excluded people with a reasonable preference. That, however, belies a total misunderstanding of the decision in Jakimaviciute and is in direct contradiction of the statutory guidance and Hillsden. HA had suffered domestic violence at an address in Hounslow. As a result, she had left this address and applied to Ealing for assistance under Part 7, Housing Act 1996. Ealing decided that it owed her the full duty under s.193(2). She subsequently applied to join Ealing’s housing register. Her application was, however, rejected because Ealing’s allocation scheme provided that, absent exceptional circumstances, applicants who had not lived in Ealing for the last five years could not apply for accommodation under Part 6. As in the latter case of H, HA argued that the scheme breached the Equality Act 2010, ECHR and s.11, Children Act 2004 on the basis that women are more likely to be victims of domestic violence than men and so are significantly less likely to be able to establish sufficient residency criteria to meet the blanket qualifying criteria. The High Court agreed. The scheme had discriminated against women and the discrimination could not be justified. What was interesting was the court’s dismissal of the argument that the “exceptional circumstances” provision in the scheme prevented any discriminatory conduct, holding that “the residual discretion permitted by the policy does not save it if there is no justification for the difference”, at . As there was no justification for the difference in treatment the scheme was held to be unlawful. Presumably, this means that an authority will have to identify all the potential ways in which the scheme may unlawfully discriminate against persons and prevent it accordingly unless it can be justified. While this may be possible in obvious cases of discrimination – and indeed ought to have obviously included those moving to escape domestic violence – it is impossible to identify every case of discrimination before it arises. Moreover, discrimination cannot be justified unless it is foreseen first or there is a residual discretion that can ameliorate its effect as and when it arises. Therefore a scheme that contains has an exceptional circumstances provision ought to justify any discrimination provided the authority can show that it is exercised to prevent discrimination. In the bedroom tax cases (see The ever confusing tale of the bedroom tax), the Court of Appeal has held that a discriminatory scheme can be justified by the exercise of a residual discretion (in that case the provision of discretionary housing payments). After all, a scheme is only discriminatory (be it under Art.18, TFEU, Art.14, ECHR, or s.19, Equality Act 2010) if its effect is to actually disadvantage people of a certain class in comparison to those of another class. A scheme which permits officers to depart from the local residence provision is not discriminatory if in practice officers do so to prevent unlawful discrimination from occurring. This also accords with the needs of any scheme to be flexible enough to prevent injustice from occurring. This though appears to have been a point that was not considered in HA. That is not to say that the result in HA was necessarily wrong. The failure to apply the exceptional circumstances provision to HA was both discriminatory and plainly irrational. However, that ought to have been the basis for the decision not that the scheme itself was unlawful. Both cases, in addition to Jakimaviciute, illustrate the court’s re-found lack of deference to authorities’ allocation schemes. Although the arguments are dressed in new clothing they are not at all dissimilar to the arguments that preceded Ahmad, i.e. the court should intervene where an allocation scheme is not providing sufficient priority to the more vulnerable groups in society. It is certainly questionable, however, whether that is an approach that a court is equipped to take. Lady Hale certainly didn’t think so in Ahmad. This should, however, be an encouraging development for advisers of applicants wishing to challenge schemes as almost every scheme will, by its nature, be discriminatory as it gives priority to some groups over others. Whether it accords with the underlying reasoning in Ahmad or was the intention of the Localism Act 2011 is another matter entirely. Should auld allocations be forgot? As 2013 drew to its inevitable close, an efficient civil servant at the Department for Communities and Local Government (DCLG) took the opportunity to publish new guidance that will encourage local housing authorities to restrict the allocation of social housing to – mostly – local people. 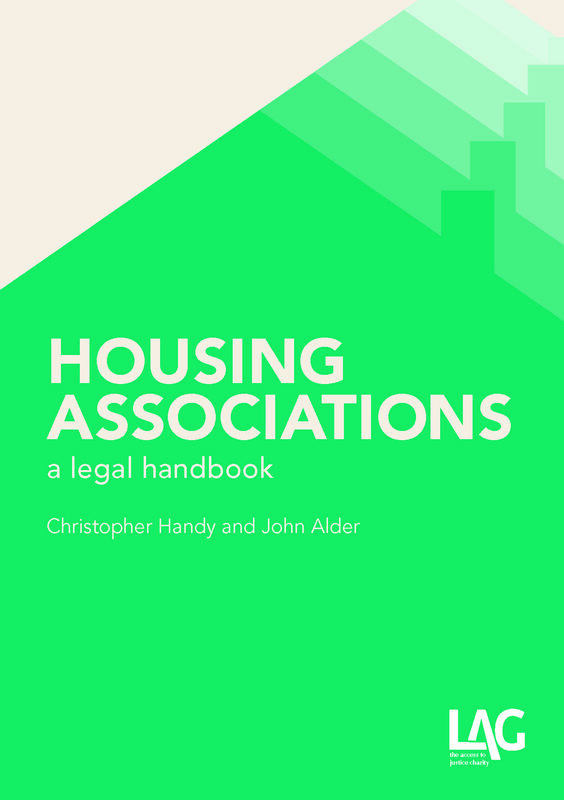 The additional guidance, Providing social housing for local people: Statutory guidance on social housing allocations for local authorities in England (the Guidance) was published on December 31, 2013. A cynic might suggest that this could be viewed as a good day to bury bad news, when people have their minds on other matters. Given the doom-laden reports then prevalent about an imminent immigrant invasion, however, we suspect that the reverse is true and that the timing was designed to try to get this into, rather than out of, the news. This might be supported by the – rather misleading – press release that accompanied publication of the Guidance. The Guidance follows on from the consultation issued by DCLG in October 2013, discussed in a previous blog. “The proposals are simplistic. They promote indirect discrimination against foreign nationals and fail to take account of the realities of modern living. The outcome may – as intended – mean shorter waiting lists for social housing but only because authorities will be exercising a carte blanche to exclude large numbers of people who currently qualify and the price of it will inevitably be an increase in the number being housed under Part 7, and for longer periods. It might reduce the numbers on the waiting lists, but it is not going to reduce the number of people actually waiting for social housing so much as sweeping them under the carpet. It might have been hoped that the consultation process would soften some of the harsher elements, so that the Guidance did not suffer from the same failings. Sadly, there is no cup o’ kindness here. Instead, much of the consultation paper finds its way into the Guidance without change, some of it almost word for word. Perhaps more importantly, once we get into the substance of the Guidance, it appears that every substantive proposal put forward in the consultation paper has been adopted in the Guidance. (How far this reflects the responses is unknown: they have not yet been published). “The Secretary of State believes that including a residency requirement is appropriate and strongly encourages all housing authorities to adopt such an approach. The Secretary of State believes that a reasonable period of residency would be at least two years.” (Emphasis added). The Guidance acknowledges that housing authorities might consider adopting other qualification criteria so that applicants who are not currently resident in the district but still have a “strong association” to it can nonetheless qualify. It is not much of an amelioration, if any. The two examples are: where there is a family association; and, where the applicant or a member of their household is currently employed in the district and has been so for a number of years (para.15). Neither does anything to counter the discriminatory effect of the proposals especially as the treatment of duties under Equality Act 2010 in the Guidance is, to put it mildly, superficial: it does nothing more than reminding authorities of the need to have regard to those duties, without any clue how to do so; merely pointing out a (well-known) set of duties does not equiparate to meaningful guidance. One new aspect is the suggestion that some authorities may choose to share a common allocation policy with neighbouring authorities and adopt a broader residency test which would be met by living in any of those neighbouring districts (para.14). This appears attractive but consider how it works: there is never an exact match between stock size and profile of waiting list; accordingly, the larger the priority pool, the harder it is for anyone else to get in. As foreshadowed in the consultation paper, the Guidance does suggest some circumstances in which exceptions should be provided to the residency/association test. The examples, which are said not to be intended to be exhaustive, include: applicants who have to leave another area to escape violence or harm; homeless families (although not, apparently, homeless individuals) and care leavers previously housed by the authority outside of their district; and, applicants who need support to rehabilitate and integrate back into the community (para.19). Putting the principal thrust of the Guidance together with the exceptions and this proposition, what it translates into, somewhat ominously, is the use of those in particular need to fill up the worst stock. The Guidance also reminds authorities of the Allocation of Housing (Qualification Criteria for Armed Forces) (England) Regulations 2012 (SI 2012/1869), to ensure that members of the Armed Forces are not disadvantaged by residency requirements. Arguably, the only stance-softening on display (or, rather, not on display) is the failure of the suggestion in the consultation paper that in “the case of foreign nationals who are sleeping rough, appropriate options might include reconnection to their own country” to make it through to the final cut. This approach is, however, already extensively used and its absence is unlikely to stop it. We finish by noting that there is also one important addition in the Guidance that had not been found in the consultation paper (para.5). We would not disagree with the sentiment: it sits ill, however, with the policy thrust of flexible tenancy; and, the Guidance itself speaks volumes about the sort of divided and discriminatory communities which the government has in mind. The urge to answer this question with “voters” is irresistible.